The Society of the Golden Egg is a challenge household for the arts and sciences in the Kingdom of Drachenwald, within the Society for Creative Anachronism. The badge of the order is a golden egg or in heraldic talk: (fieldless) An egg Or (still in process of being registered). Membership in the society does not convey any rank. The aim of the Society of the Golden Egg is to encourage artisans to increase their knowledge and skills through continuous challenges of at least intermediate difficulty, but which are a personal challenge to the person seeking to join the society. Challenges can build on one another, or challengers can take up a new challenge area. The Queen is patroness of the society. Challenges are made and discussed in the online forum then tested and accepted at royal events. The challenger will present their proposed project for discussion on the society’s website where both members of the society and others can comment during a minimum of one month before the challenge is presented at an event. Members of the Society of the Golden Egg will make themselves available to consider challenges at events where at least 3 members and the queen are present. If it is not possible for the challenger, 3 members and the queen to all be present at the same event within a reasonable time from the project first being presented online alternate solutions can be made after approval of at least 3 society members. Alternate solutions are meant to be used only when absolutely necessary, usually due to long travelling distances within our kingdom. Challengers must submit their plan in the online forum so that there will be an opportunity to understand the proposed challenge, consider modifications, and agree on wording for the challenge to be made. This also gives opportunity for a wider range of comments and helpful suggestions before the project is begun. Challengers normally have up to one year to complete their challenge. However, they can challenge for a shorter period if they wish. If necessary, they can also seek an extension of up to one year, with justification. If the deadline passes without being completed or extended, the challenge is considered forfeit. Some modifications to the original challenge can be negotiated, but significant changes are considered to be a new challenge, and the original will be forfeit. Challengers who complete their challenge will become members of the Society of the Golden Egg for 3 years. People who wish to remain in the order after that time must undertake and complete a new challenge. The Golden Egg is a challenge household for the Art and Sciences. The badge of the Society is a golden egg (fieldless). As Patroness of the Golden Egg, the Queen has free and final say on the Charter. To encourage those interested in the Arts and Sciences to challenge continually their abilities and skills through the use of period techniques and materials. Challenge – Any arts and sciences project of at least intermediate difficulty (as determined by the challenger and members of the society together), which results in an artefact or group of related artefacts – ie. not a research project – and which tests the abilities of the challenger. This is a very personal determination and the level of difficulty will vary widely depending on the individual. However, the project should be sufficiently complex that it will take approximately six months to one year of reasonable effort to complete. The project need not be in a completely new area of endeavour; it can be something others are already doing in Drachenwald (or the SCA), build on knowledge acquired in a previous challenge, or even replicate someone else’s challenge. In order to meet the intermediate difficulty element of the challenge, it will probably build on previous A&S work by the challenger. Further details are found in the Project Guidelines section. Governing Body – all members of the Golden Egg except those who are currently rechallenging. The Governing Body reviews proposed challenges and advises challengers to setting acceptable challenges, and judges projects. The Golden Egg does not set challenges. Any members of the governing body who wish to challenge must retire from the governing body. Challenger – anyone who is preparing a challenge to be read out in Court, or who is currently working to complete that challenge. A secretary shall be appointed, who is responsible for recording Golden Egg activities in the Book of the Golden Egg. The current secretary is Isabetta del Verde. When a challenger wants to propose a challenge he/she begins with starting a new thread in the online forum explaining the proposed challenge. There is no special format or requirement for how this needs to be written. The main language of the forum is English but using google translate or similar can be used and others who are better at the alternate language can also help translate special terms. As many images and links to other websites as the person wants can be included. Golden Egg members as well as others who have a general interest in the subject may comment and discuss the proposed challenge. The purpose of this is to come with helpful advice and suggestions that the challenger can use to make the project an even better success. They can give suggestions of resources, methods and other people to talk to who might know more. Before a proposed challenge goes on to being discussed at an event the challenger should have formed written judging criteria for the project based on authenticity, technical skill required and personal challenge to the candidate. When the proposed challenge has been online for at least one month the challenger can go on to propose in person at an event when the Queen is accepting challenges. The challenger will at that event meet with members of the Golden Egg governing body so that an acceptable challenge may be agreed upon. Challengers may also arrange to discuss their challenge privately with the governing body at any mutually agreed upon time prior to the challenge day. The time and place of this in-person discussion should be decided in the online forum prior to the event. There must be consensus among the members of the Governing Body before a challenge may be presented in Court. The Golden Egg reserves the right to postpone a decision on a proposed project, in order to consult with more qualified members who are not present, or with outside experts. At least one representative of the Golden Egg governing body must be present to represent the Order when the Queen calls for challenges. Golden Egg members are called forward in Court in order to formally recognize the challengers, and so that all may recognize the Golden Egg members. Challengers are called into Court where they must declare their intention to challenge and very briefly describe their project. Once the Queen has accepted the challenge, details of the project, agreed upon judging criteria and proposed completion date will be recorded in the Book by the Golden Egg secretary. The challenger may have until the Golden Egg meeting, approximately one year from the date of challenge, to complete a project. Alternate acceptance dates can be arranged. The project may be completed prior to the set completion date, but it may not be moved back without renegotiating with the members of the Governing Body. If the completion date is missed without prior renegotiation, the challenge is forfeit. An individual may not issue a new challenge before the completion or forfeit of a previous challenge. While individual Golden Egg members are not restricted in their contact with challengers, the Golden Egg governing body may not aid a challenger in the completion of a project beyond providing advice or references. Once a challenge has been accepted the Golden Egg members and governing body are under no obligation to provide further advice but each individual may do so freely if he/she wishes to. The project may not be a work in progress; all elements except background research must be started and completed after the challenge date. Adjustments to an accepted challenge are possible. However, a challenger may renegotiate the content and/or timing with the Governing Body a maximum of three times before they must forfeit their existing challenge and rechallenge in Court. All agreed adjustments will be recorded in the Book. Projects must be a reasonable approximation of medieval craftsmanship and themes. The use of non-medieval techniques or materials must be defended either verbally or in writing. Deviation from medieval themes, styles or techniques for the purpose of SCA use are not deemed acceptable. Deviation for reasons of safety, expense or availability may be deemed acceptable, at the discretion of the Golden Egg. The projects must be deemed to be a challenge to the current skill level of the challengers, who will use techniques, tools or skills which are new to them. Projects must demonstrate at least an intermediate skill level and of sufficient complexity that they will take a significant time commitment to complete. As a guideline, most challenges take from six months to one year of reasonable effort to complete. Acceptance of challenge projects will be judged on the basis of authenticity, technical skill required and personal challenge to the candidate as decided in the judging criteria agreed upon when the challenge was originally proposed at an event or as renegotiated with the Governing Body. The Golden Egg shall gather at any event where the Queen and the Governing Body will be in attendance and agree to accept challenges. Meetings will be announced in advance, and a member must take notes and send to the secretary if the secretary and the Book are not present. Candidates will meet privately with the Governing Body to provide verbal defense or comments. At the discretion of the challenger, the defense can be opened to the public. Completed projects shall then be left with the Golden Egg for further discussion. Any written defense may also be presented at this time. Non-members of the Governing Body may be called in to judge completed projects that are outside the expertise of the Governing Body. Projects will be judged to be “complete” or “incomplete” based on whether they meet the challenge criteria as recorded in the Book. “Incomplete” projects may be resubmitted only once, at the nearest mutually acceptable date. “Completed” projects will be displayed, and the challenger welcomed as a member of the society of the Golden Egg, in Court. The society of the Golden Egg calls for continuous challenge in the Arts and Sciences. Therefore, members of the Golden Egg must rechallenge within three years of being accepted as a member, in order to retain their place in the Golden Egg. Golden Egg members who are rechallenging may assist other challengers, and provide guidance in the setting and judging of other challenges. However, they may not act as part of the governing body for the setting and judging of any challenges. Challengers and members of the society of the Golden Egg should strive to follow the above terms with discussions in-person at events before a proposed challenge is accepted as well as when the finished project is presented and accepted. Drachenwald is however a kingdom that covers a vast geographical area and not all are able to travel to attend events where the Queen is accepting challenges and the Governing Body of the Golden Egg are present. Exceptions to this requirement can be made on an individual basis and alternate ways of proposing and presenting projects can be agreed upon between the Governing Body and the challenger. During the start up period there will be no members of the Golden Egg. The roll of Governing Body will then be given to a group of volunteers as decided by the Queen. When the Golden Egg has at least 3 members they will take over the as the Governing Body. The members want you to succeed. Our goal is to help you frame your challenge so that it is a real but manageable challenge: there is a real risk of failure, but a high probability of success. In order to be better prepared, here are some questions to take into consideration as you are thinking about what to challenge. These and similar questions are almost always asked when a challenger presents a proposal. What are you proposing? 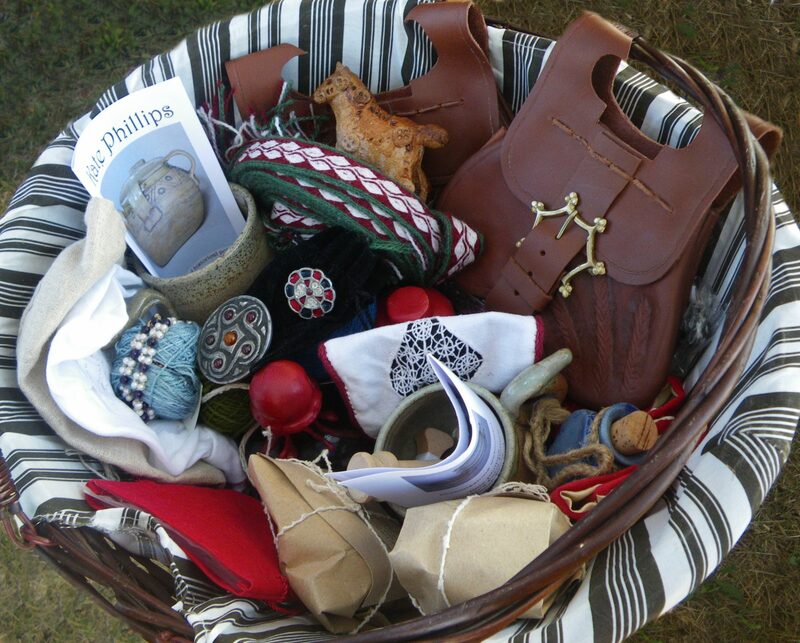 Give as many details as possible – are you recreating an artefact, doing experimental archaeology? What is it about this project that appeals to you? How long do you expect to take to complete this project? Why is this project going to be a stretch for you? What will you be learning? What is the risk of failure? What do you hope to learn or what skills do you hope to improve? What is your basis of knowledge in this area that leads you to think you will be successful? Do you have previous experience with this particular craft, or have you done a similar type of work in another medium? What research have you done? Tell us how your project fits into the medieval world? What date, location, social class, etc. would your work have been found in? What methods are you using? It is preferred but not obligatory that medieval and renaissance methods will be used wherever possible, with exceptions made to substitute extremely expensive or dangerous materials, or to meet safety standards. Why do you think you have a reasonable chance of succeeding? Do you have previous experience doing this kind of work, or related experience that can be translated to this project? Have you allowed yourself enough time, taking into consideration real-life obligations? Are you sufficiently focused? Do you need to expand the scope of your project to cover more areas and make it a real challenge? Do you instead need to narrow down your project? There are currently 3 members of the society. Challenge accepted: July 25th 2017 (Skype conference call) and read into court at Raglan Faire 2017. Challenge accepted: November 11th 2017 at Kingdom University and read into court at Yule Ball in December 2017. If you would like to volunteer to act on the governing bord during the start-up phase please contact Isabetta del Verde at isabetta.del.verde@gmail.com. Here you can find the SCA names of all challengers, what date their project was accepted, when the project was completed or is expected to be completed, and a short summary of the project. A bobbin lace for a (Italian) Renaissance smock. The smock in question belongs to the collection of Boston Museum of Arts and it’s best description can be found in Patterns of Fashion 4 by Janet Arnold, pages 54 and 110-111. In 2010 the remains of a woman who likely died in 1573 were found in central Alkmaar. This project is to recreate an outfit that this woman could have worn at the time of her death. – Creating a chemise, kirtle, stockings/hosen, apron and possibly a jacket. – Possibly making a pair of shoes men most likely a pair of shoes suitable to the outfit will be bought from a shoemaker just as was often done in 1573. – The research and project progress will be documented on the household blog. – Sewing will be done both on machine and by hand. Material choices will be based on period weaves and colours but may vary depending on what is readily sourceable today. Research for the first 2-3 months. Start sewing by march 2018. Undergarments will likely take 2 months, the dress 1-2 months, the jacket 1-2 months and thereafter accessories 1-2 months with some extra time for unforseen circumstances. Making of a belt, the whole process, spinning, dyeing and weaving. I like the idea of making things from “the beginning” you get a better sense of how much work and knowledge they had who made whatever craft you look into. Some years ago I was at an outdoor seminar, where we dyed yarn with plants, and I’ve wanted to do this again ever since I tried it. Last summer I tried some spinning at a Viking Market and got hooked on that as well. Tablet weaving has been one of my favourite handcrafts for a long time and I´m making more and more advanced patterns. Given this and the announcement of the Golden Egg I thought “why not make a combination of this” into a challenge for the golden egg. How am I preparing to get this done? I will start out learning spinning, both with a Turkish spindle (for beginners) and a medieval spindle. There’s plenty of instructions on You tube. When I’ve got enough yarn, (250-300m 1-thread), it’s time for the dyeing. It’s going to be an intense period. Thanks to FaceBook, “Färga garn med svamp och växter” (dye yarn with mushroom and plants) I think I can manage . I’m also a member of “FB Historic tablet weaving”. In april I´m taking a course in tablet weaving with one of the authorities on tablet weaving in Sweden (in my opinion) Louise Ström. I’ve found a 14th century Italian belt for a woman and I’m thinking of recreating it. I’ve written to Louise and she thinks she is able to help me out. – Production of display materials presenting the research, trials and production of the yarn, dying process and belt. -Publication of posts on the golden egg on my ongoing progress. The project is to research and recreate the auqueton of St.Isabelle of France, the sister of St. Louis, who lived 1224-1270. While St. Isabelle did become a saint the garment in question is not a religious habit, but a secular garment worn for warmth, and a rather fashionable one too, since quilted garments had recently become popular under the influence of muslim manners of dress. The garment has its name from the Arabic al coton. While fashionable it was not only a high-status garment; quilted garments made from linen or half cotton/linen and with cotton wadding were made as ready-to-wear, at least in Italy, in the period and since the materials were relatively cheap (and labour very cheap in the Middle Ages), they were actually a cheaper alternative to wool garments to keep warm. When making it I will be using the correct materials and with period sewing techniques but make the garment in a size that fits me. The aqueton will also act as the focus for wider research on quilted non-military garments in medieval Europe. The project is a challenge in several ways: I have never quilted a garment before, so I will learn new skills. Patterning for a quilted fabric will be an interesting challenge which will mean making samplers to see how much the fabric shrinks from being quilted. It will also be a challenge to make all that hand quilting in less than a year. A period appropriate table with two trestles and something to sit on for needlework. Made with hand tools and period techniques. I will research and create these two items using native woods and hand tools. Research by sourcing and scrutinizing images, paintings and where possible original items – record on fb/Pinterest board and keep notes on sources etc. Research methods by practical experimentation and conversation with peers in and out of the SCA. Refine skills by producing some trial items, e.g. storage chest /seat, smaller box, pot or clothes rack. – Items function as intended. – Look appropriate for a period appropriate domestic setting. – Finish does not catch clothes and is appropriate to work at. – Painted or otherwise acceptably finished. Planned date of completion: 12th Night Coronation 2020 or an event near that time. Having been given a book on the Överhogdal tapestries, I was inspired to recreate them. A little more reading led me to want to find out more about the use of the soumak technique in the viking period, which is more widespread and varied than I had previously thought. Variations I have found out about so far include woven on a warp-weighted loom, tablet woven, linen with wool, metallic thread with silk, horsehair used for the soumak, soumak used for the main pattern, and soumak used just to outline, combined with other brocading techniques. Technical challenges are not having done much soumak, using linen or hemp warp and trying the new techniques that have by others been described as difficult/complicated/time-consuming. Some non-weaving challenges are finding the information without travelling to see the originals – it may be that nice SCAdians living nearby will be willing to visit museums for me, finding out which non-English books have useful information and what information they have and reporting as I go along. – compile a “directory” of the use of soumak in the Viking period: archeological finds, different techniques, fibres used, etc. – produce at least 3 samples to illustrate some of the differences. Research the technology behind seafaring from the perspective of a Boatswain. In general, the boatswain is one the three craft people that was needed on a ship – they were in charge of the sails and rigging and their use in a voyage. Across the SCA period the definition of their role became more formal as did the other roles but the job and skills remained central to any successful endeavour. This project will focus on 2 points in history – 10th, and 16th Century,- Possibly Norwegian, British. It will involve making a number of reconstructions that could represent the contents of a trunk from these time periods. This is an Arts & Sciences challenge household in the Kingdom of Drachenwald. Drachenwald is a part of the Society for Creative Anachronism (SCA).